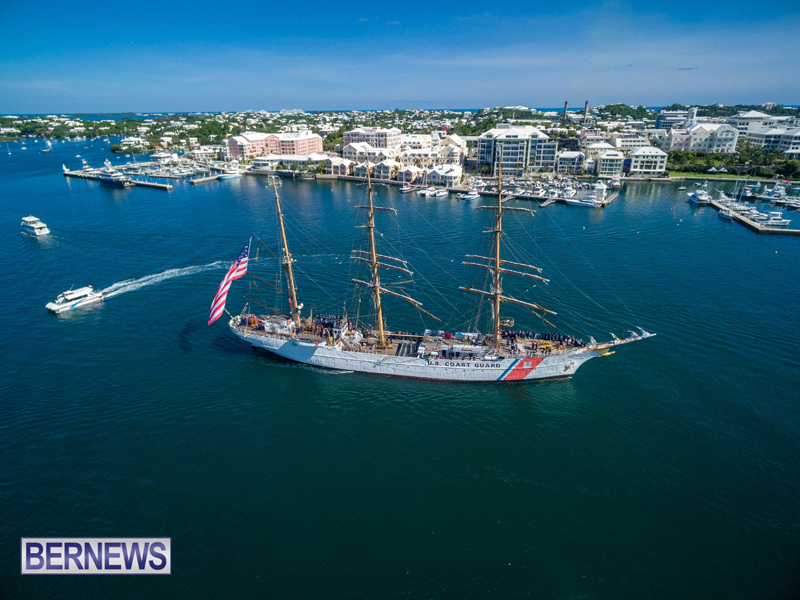 The U.S. Coast Guard Cutter Barque Eagle arrived in Hamilton today [July 13] as part of its 2016 cadet summer training deployment. The ship is moored along Front Street and will be open for free public tours on Thursday, July 14 and Friday, July 15 from 10.00am to 7.00pm each day. The summer 2016 deployment spans five months and 11 ports, including Bermuda and three European ports. The Eagle crew last visited Hamilton in 2015. 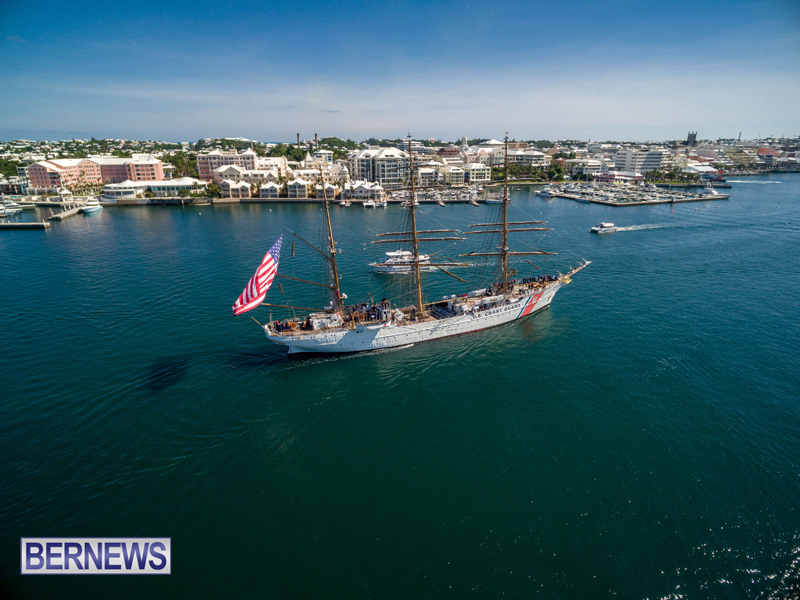 After departing Bermuda, Eagle crew will set a course for Norfolk, Virginia, following the same route charted by Eagle crewmembers when first the Barque came to the United States 70 years ago. 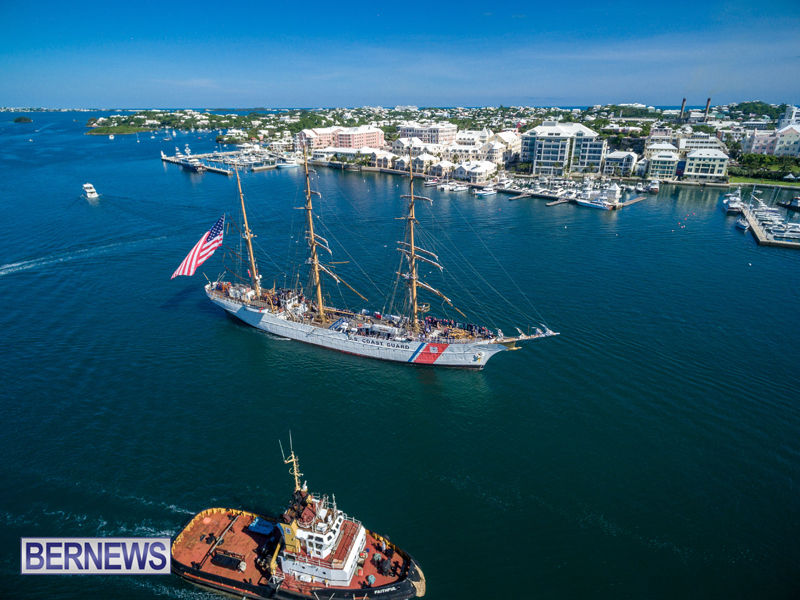 While in port, cadets from the Eagle will engage in several community projects with Habitat for Humanity Bermuda and Keep Bermuda Beautiful. It was constructed in 1936 by the Blohm and Voss Shipyard in Hamburg, Germany, and originally commissioned as the Horst Wessel by the German Navy. The United States took the Eagle as a war reparation following World War II. A permanent crew of six officers and 55 enlisted personnel maintain the ship and train up to 150 cadets at a time in the skills of navigation, damage control, watch-standing, engineering, and deck seamanship. 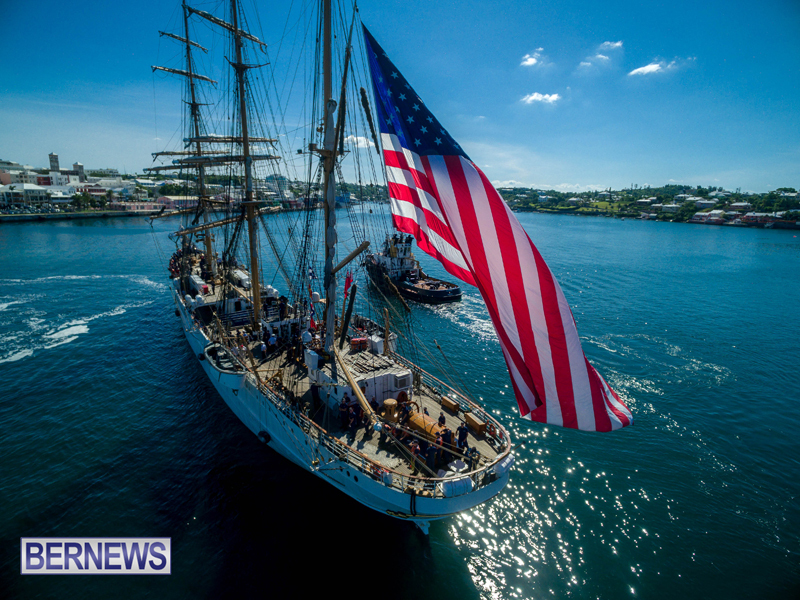 This just in …tall ship visits township…ain’t DAT some ship?